mDex a health solution by AfriGal Technologies a 2016 Microsoft #MakeWhatsNext Patent Program participant is in the patent pending status. #MakeWhatsNext Patent Program is a Microsoft initiative to support and mentor female inventors protect their ideas and further their innovations. Of all patents worldwide currently, only 7.5% are by women. The #MakeWhatsNext Patent Program is Microsoft’s way of trying to do something about it. “A generation without sickle cell disease could start here. We’re proud to help women patent and protect great ideas. Today, their inventions are Patent Pending”. Hopefully the patent gets granted. mDex is a mobile sickle cell diagnostic tool. It uses the power of a smart phone to take blood slide pictures and have them analyzed to detect the presence of sickle cells. In Uganda, 30,000 babies are born with sickle cell anemia each year. Of those children, 80% will die before the age of five. AfriGal Tech is a group of female technologists from Uganda hoping to change that. Some benefits of the initiative includes having Microsoft’s patent law team help you through your patent application process. Microsoft’s patent lawyers vet all prospective teams’ ideas to ensure their inventions are patent-eligible. The lawyers advise teams on how and what to document in order to protect ideas and create a thorough application. All legal expertise and application fees are covered pro bono by Microsoft’s patent law department. Learn more about mDex and the AfriGal Tech team from #MakeWhatsNext page. Check out the AfriGal Technologies page and follow their innovations. 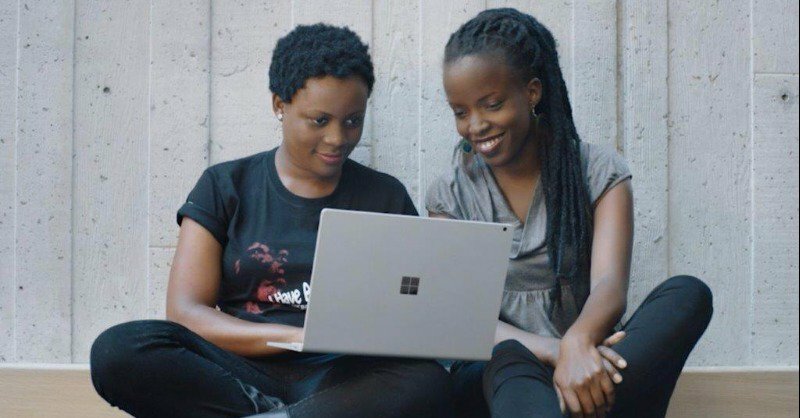 Is Microsoft leading the way for global Tech giants into Africa?